We believe that making a web site is not a onetime affair, it's a lifelong commitment. A website should be regularly updated with the latest about your company, brand, products & Services, News, Events, Awards, Locations & Contacts and anything else that might be relevant, geared to generate the maximum returns from your web site. 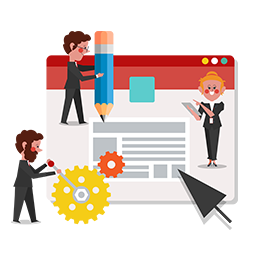 We offer professional website maintenance packages that are tailor-made to meet the exact requirements of your website for both immediate and future needs. Our services are uncompromising in terms of quality and commitment to technology.